The second type of signal that is used on MAX alignment are pre-empt signals. These are the signals that pedestrians, cyclists, and car drivers are going to see most often. A basic pre-empt signal has two aspects on it – a yellow horizontal on the top and a white vertical underneath (there is an exception to this rule at Kenton/Denver where the white vertical and yellow horizontal share the same top aspect, and I don’t know why that one is set up that way. I know that that pre-empt is tied into the ABS circuit of the Vanport Bridge so that might be related, but I’m not positive. 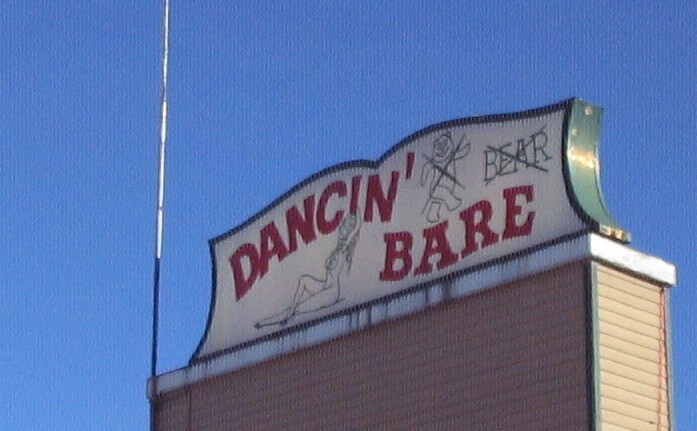 I’ve never gone over there as a destination (the Dancin’ Bare just isn’t my thing) so I don’t have any very good pictures of the signal, but you can sort of see it in this photo taken from the passenger area. The quality isn’t great, but it shows the white vertical on the top part of the signal instead of the bottom. There are some pre-empt signals that are slightly more complicated and I’ll get to that the last entry of the signal series, but here are the basics first. And this is the equivalent of a green light for a train. The aspect is a white vertical; the indication is “proceed with caution” – kind of like when you have a green light in a car, you still need to scan the intersection in case someone on the cross street is running their red light or a pedestrian is about to cross. This happens a lot with trains because people tend to watch traffic signals, not rail signals at these intersections so they don’t know that a train necessarily has a “go” signal. This signal’s aspect is a flashing white vertical, and its indication is the equivalent of a yellow light for a car – it means that the white vertical (go) is about to time out to a yellow horizontal (stop) – so if the operator hasn’t yet entered the intersection, they should stop the train. Some intersections time out more quickly than others – if you are sitting towards the front of the train on the right side heading west into Lloyd Center, the pre-empt at 13th begins to time out as the train enters the intersection and you can see that from the passenger area. Similarly, the pre-empt at 4th & Yamhill which is on the left-hand side will also begin to time out as the train is in the intersection. This aspect is a flashing yellow horizontal. There isn’t a direct equivalent of this signal’s indication to what a car driver would see on a regular traffic light. The closest would be when you are stopped at a red light and you watch the color of the cross-traffic light, and when that turns red you know yours will turn green soon. For a rail operator, a flashing yellow horizontal pre-empt means that it will soon become a white vertical. At most platforms downtown, this means they need to have their doors closed (and not on release!) so that they can get going as soon as their white vertical comes up. 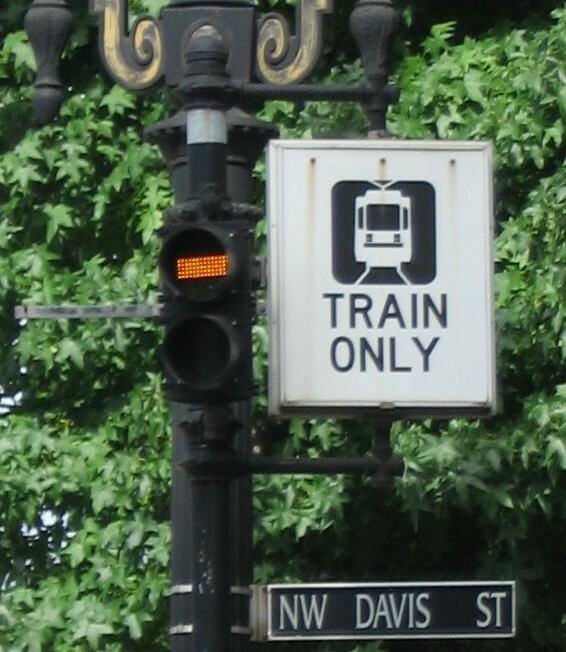 For intersections along the Yellow Line and on Burnside (and a couple of intersections downtown such as Skidmore Fountain eastbound and Lloyd Center eastbound where the intersection is not immediately in front of the platform), operators are permitted/expected to be moving the train up to the intersection on a flashing yellow horizontal indication, but they may not enter the intersection until it displays a solid white vertical. Now here’s where it can get a little confusing – in the CBD (downtown), not all of the intersections have pre-empts. At several intersections, the trains will follow the same red-yellow-green traffic signals that car traffic does. 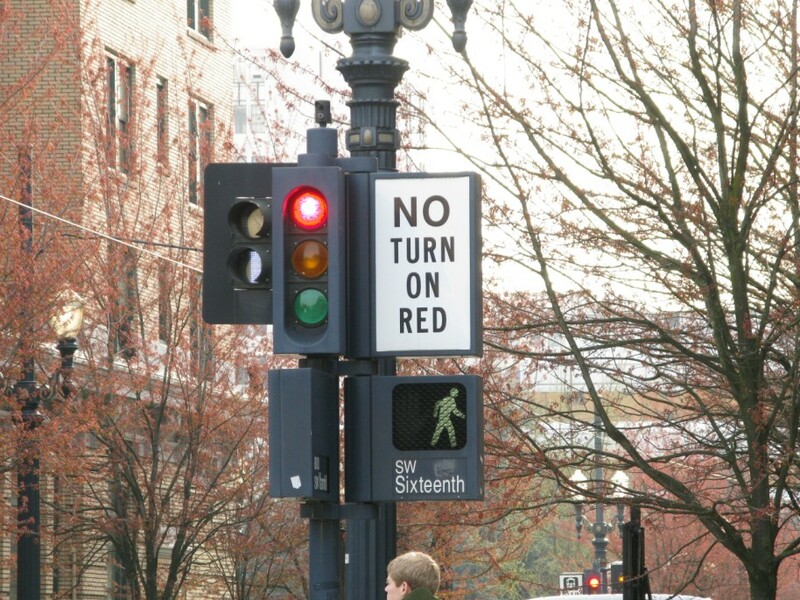 However, every intersection where a green light would permit a car to make a left turn is pre-empted. This can cause confusion for someone who misses a train and then gets mad, complaining that the train left the platform on a red light. Well, yes, they did – but the red light wasn’t a STOP for them, it was just a stop for the cars. Notice how the traffic light is red, the pre-empt immediately next to it is a white vertical, and the crosswalk signal (all the way to the left of the image) is a walk. 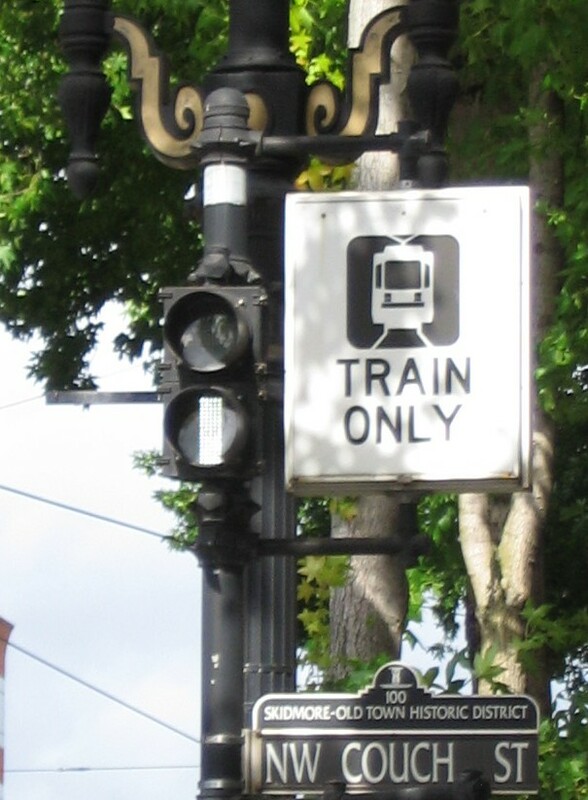 That’s because at this intersection of 6th and Yamhill, cars are permitted to make a left turn from Yamhill onto 6th – over the train tracks -when that light is green. So the red light holds the cars there (otherwise they’d be turning directly into the moving train!) and the train will go first on their pre-empt. The parallel crosswalk is a walk sign because the train is going to block cross car traffic on 6th. Again – red traffic light, walk sign on the crosswalk, and the white vertical pre-empt (it’s a little hard to spot – look between the two lights on the lamppost) – and obviously a train moving through the intersection! Pre-empt signals are used in areas where the trains run in mixed traffic and intersections are protected by traffic lights, not crossing gates. Out of the tunnel (there is a pre-empted intersection just west of the Goose Hollow platform) and all of the CBD, including the 5th/6th Ave transit mall and Yamhill & Morrison streets. Over the Steel Bridge, the Yellow Line is pre-empted through Delta Park. The Blue/Red/Green Lines are pre-empted through 13th Ave, east of Lloyd Center. 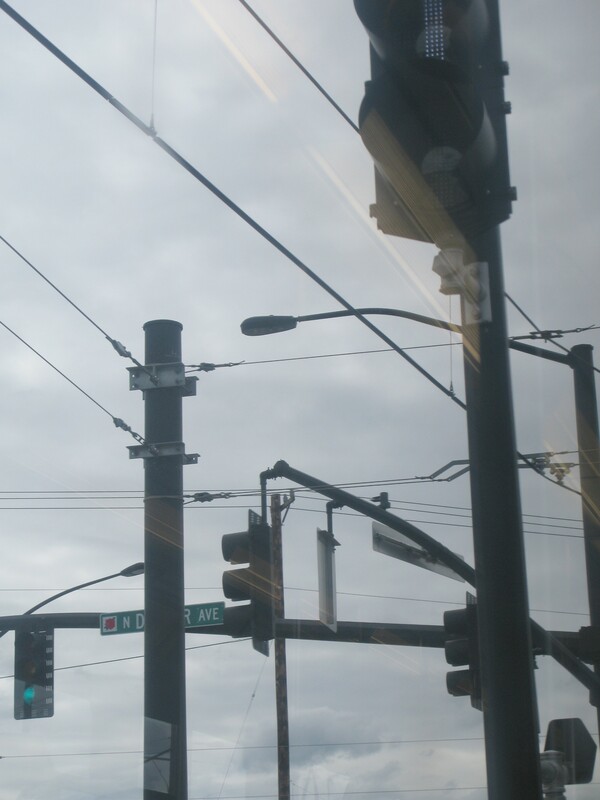 The Blue Line is pre-empted from the intersections prior to E 102nd Ave on Burnside to the intersection just before the Ruby Junction/E 197th Ave eastbound platform. Pre-empt signals on their own are pretty straightforward, so they only get one post. Up next, what should be the last post about signals (at least for now), ABS/pre-empt combination signals! This entry was posted in alignment "what is? 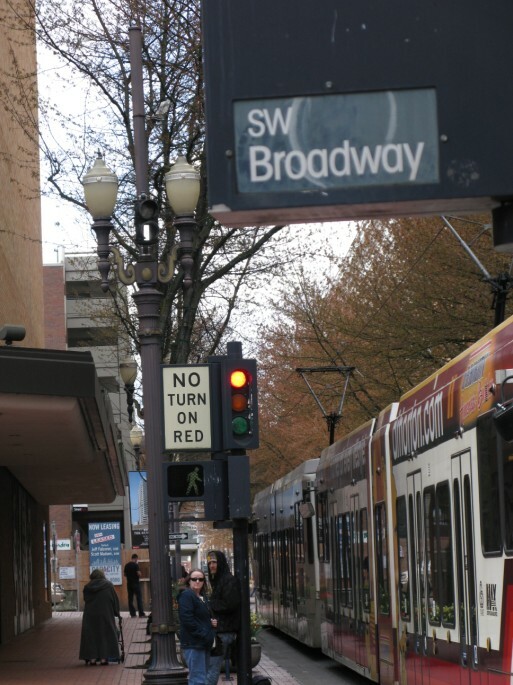 ", safety, signals and tagged light rail, max train, portland, pre-empt, pre-emption, public transit, public transportation, rail, rail signals, railroad, railroad signals, safety, signal, signal pre-emption, signals, traffic, trains, trimet. Bookmark the permalink. Question: Is the 35MPH limit in pre-empt zones a TriMet regulation, or a government one? The speed limit for trains on Burnside is 35mph because that’s the speed limit for cars on Burnside. Same thing with Interstate (except the speed limit for cars there is 30, so the speed limit for trains is 30 as well) and Holladay and Washington (where the speed limit for everyone is 25mph). The school zones along Burnside and Interstate also apply. When children are present, yes (regardless of the time of day), otherwise operations are at normal speed. 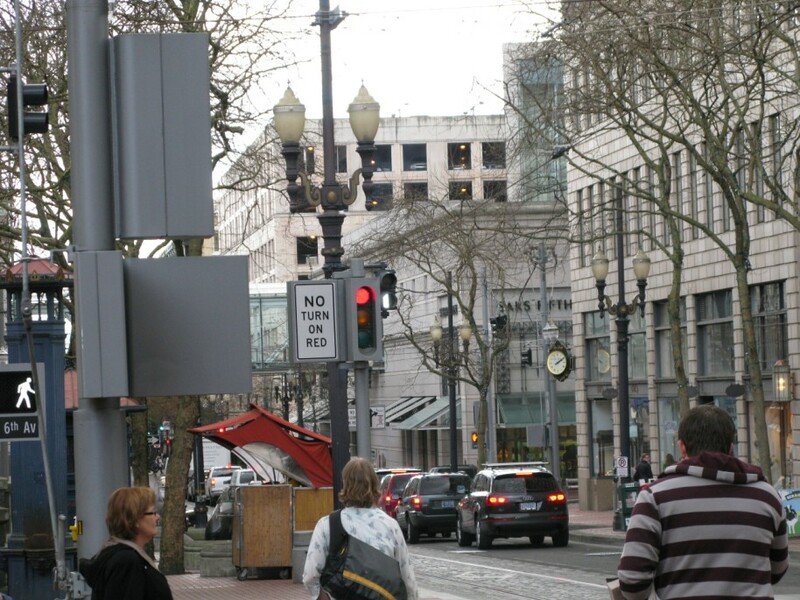 In the CBD (Central Business District) what determines which side of the street the pre-empt signal is placed. At first I thought it had to do with which way traffic was coming from on a one way but there are a couple of intersections that are not that way. I would think it would be difficult for an operator who was new on a route to know where to look if there is not a set rule. Yeah, it’s one of those things that you just have to learn where to look, I don’t think there’s a particular rhyme or reason to their placement.